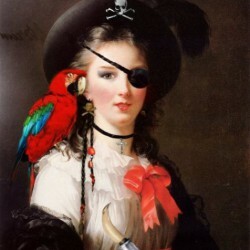 Jennilee is a girl who is in a ‘fugue’ state - having reinvented her identity after an amnesic episode. Eloise as she is now known is having a shatter ('flashback') of memory not necessarily her own and not only that but someone is trying to kill her. It was a letter that told of music in the darkness and daffodils in the spring. The memory of it was strong. Or perhaps, she thought as she continued to stare with aching heart, it was a memory of things she never knew. Along comes Jack who agrees to his father's demands to travel to London to help find her but discovers that the people who want to bring her back have motives that are not wholly benevolent. A photograph of a group of people which includes Jack’s own father and Jennilee’s mother reveals a mystical group of scientists calling themselves the Order of Mnemosyne. The mystery around her lost memory deepens when they dig deeper into finding out what’s behind it all. 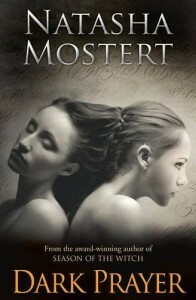 This is the first of Natasha Mostert’s books I have read and thoroughly enjoyed it. What I liked about it best was the mixture of philosophical ideas of memory and identity. As someone living with memory dysfunction I identified with the whole discussion around memory as a crucial component of identity. Think of this; if your memory was altered or manufactured from the original who would you be? If your memory could be altered to wipe out distressful events how would that change you? Even more important who would you want to be? Losing one’s memory is one of the most feared aspects surrounding dementia, and with it one’s identity. The issues of memory that Mostert discusses in detail are so knowledgeable and thought provoking. As he flicked off the TV remote, he wondered idly at what point unreliable memories started affecting one's sense of self. Who is Jack; an American rich boy, bit of a waster, no job, just living it up, drinking and fighting etc, you get the picture. Then big-guns Daddy, tells him he has to go to England to help look for a missing girl and bring her back to her ward Daniel a friend of his. Jack a free runner, agrees to find Jennilee Gray who also loves the activity of ‘parkour’. Now calling herself Eloise Blake, Jack falls in love with her and helps to unravel the mystery surrounding her which involves the Order of Mnemosyne, their parents, memory and scientific experimentation. What will Jack and Eloise find out about her life, and how will she deal with it? There is a wonderful mix of exciting story telling and deep thinking around spirituality and psychology. This is a book that you are unable to read without looking at yourself and questioning what makes you, you. I loved the complexity of the characters and the plot, each with their own agenda’s. References to Aleister Crowley gives an understanding to the type of order behind the plot, and having read a great deal of Crowley it gave me the insight of the darkness of the order. If you haven’t read or don’t know Crowley, no matter, because Mostert gives enough details for you to understand completely. I had heard about Free Running but not in any detail; what a thrilling activity it is! Oh I wish I was 40 years younger because I would just love to do this. Just reading it gave me a real sense of what it feels like to do it, and that is a mark of a great writer! Movement is life. That was what parkour was all about. Never look back. Find another way. Mostert has gauged the reading pace of the plot completely right, is not too much to be too complicated to follow, and enough to be exciting. Many thanks to the Publisher for a digital copy via NetGalley for an honest review.